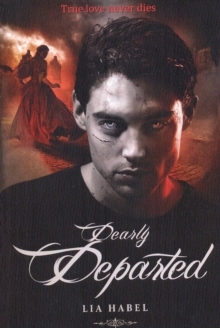 A sharp, slick sequel to zombie adventure debut Dearly, Departed. Can the living coexist with the living dead? That's the question that has New Victorian society fiercely divided ever since the mysterious plague known as "The Laz" hit the city of New London and turned thousands into walking corpses. But while some of these zombies are mindless monsters, hungry for human flesh, others can still think, speak, reason, and control their ravenous new appetites. Just ask Nora Dearly, who was nearly kidnapped by a band of sinister zombies but valiantly rescued by a dashing young man . . . who was sadly no longer breathing... Nora and her savior, the young zombie soldier Bram Griswold, fell hopelessly in love. But others feel only fear and loathing for the reanimated dead. Now, as tensions grow between pro- and anti-zombie factions, battle lines are being drawn in the streets. And though Bram is no longer in the New Victorian army, he and his ex-commando zombie comrades are determined to help keep the peace. That means taking a dangerous stand between The Changed, a radical group of sentient zombies fighting for survival, and The Murder, a masked squad of urban guerrillas hellbent on destroying the living dead. But zombies aren't the only ones in danger: Their living allies are also in The Murder's crosshairs, and for one vengeful zealot, Nora Dearly is the number one target. As paranoia, prejudice, and terrorist attacks threaten to plunge the city into full-scale war, Nora's scientist father and his team continue their desperate race to unlock the secrets of "The Laz" and find a cure. But their efforts may be doomed when a mysterious zombie appears bearing an entirely new strain of the illness-and the nation of New Victoria braces for a new wave of the apocalypse. 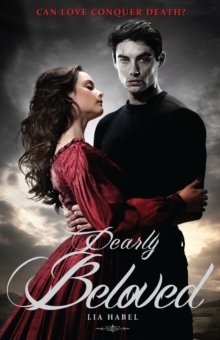 Lia Habel's spellbinding, suspenseful sequel to Dearly, Departed takes her imaginative mash-up of period romance, futuristic thriller, and zombie drama to a whole new level of innovative and irresistible storytelling.